Versatile and stylish, the Aubert futon brings cozy cottage-inspired style to your guest room or teen's space. Constructed from wood solids in a brown finish, each side panel features wainscoting details and a spaciously sized arm. 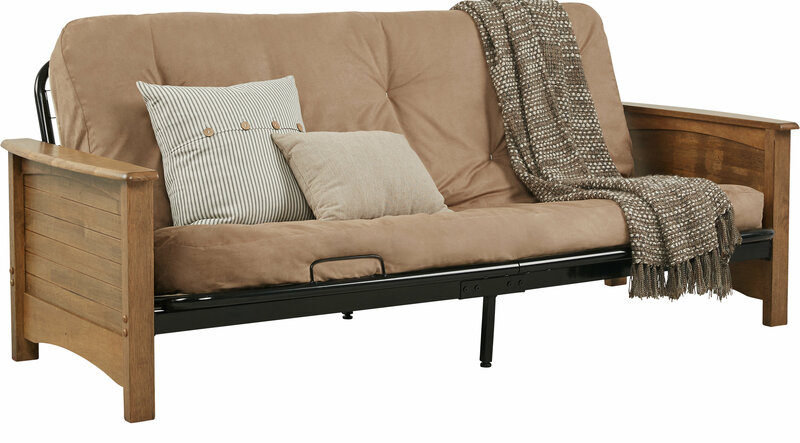 Perfect for guests, the futon opens with a spring loaded hinge into a full sized bed with a 6" foam mattress (sold separately).